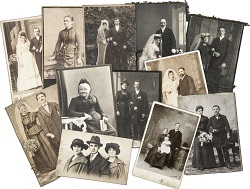 We'll have a quick refresh of the basics of genealogical research such as the Genealogical Proof Standard and the problems online searching can present. We'll also look at options for recording and sharing your family history and at the records available for New Zealand, Australia and the British Isles. You'll discover what information they contain and where to find them so can continue researching with your tutor on hand to help! Not for beginners – for those who have done some previous genealogical research and who have good computing and internet skills. Bring a USB stick. Not for beginners – for those who have done some previous genealogical research and who have good computing and internet skills.